SHEFFIELD UNITED manager Chris Wilder insists that he is not rankled by the blaze of publicity surrounding Leeds United’s stellar start to the Championship season – and the comparative lack of plaudits afforded to his own high-achieving Blades side. For the second season running, both Yorkshire rivals – who meet in a mouth-watering televised game at Bramall Lane this lunchtime – are flying high at the top end of the table, with Leeds occupying the second automatic promotion place. The stakes are high for both sides, with Leeds able to at least temporarily move two points clear of present leaders Norwich City if they prevail in today’s televised early kick-off (12.3opm). But should the Blades triumph, they will move a point clear of their West Yorkshire rivals and jump above them in the table and inflict a further psychological victory in the process. 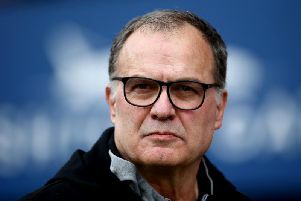 Despite both sides producing some exhilarating football this season at various junctures, the vast majority of the media attention – certainly at a national level – has focused on the accomplishments of Leeds under former Argentina and Chile manager Marcelo Bielsa. For his part, Wilder has no truck with the situation and believes it is all part of a historic and long-established trend when it comes to nationwide perceptions of Yorkshire football. “That is how it is. It is what it is. “We always seem to be regarded as being in Leeds’ shadow and that Leeds is the centre of Yorkshire. We do not need that to stoke our fires and motivate us. Leeds United boss Marcelo Bielsa. Picture: Tony Johnson. From his particular perspective, Whites head coach Bielsa did take time to praise the footballing credo of Wilder ahead of today’s meeting, describing him as a coach with “new ideas”, while admitting that he sees elements of his own philosophy in his dug-out rival. But on a wider level, it has been Leeds who have been bestowed with the lion’s share of the bouquets for their achievements and perceived style this season – with the presence of a world-renowned continental head coach adding to that sense of allure. 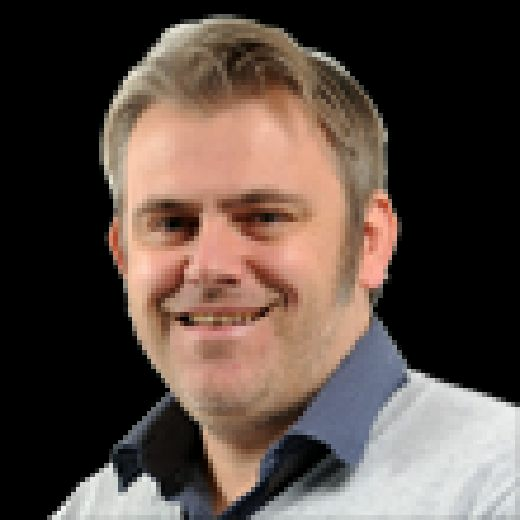 Wilder himself is plainly more interested in successful winning football rather than overly concerning himself about the style points, even if he believes that many home-grown managers are just as capable of producing sides who are playing enlightened football as their foreign counterparts are. We always seem to be regarded as being in Leeds’ shadow and that Leeds is the centre of Yorkshire. We do not need that to stoke our fires and motivate us. Wilder quipped: “Yes, but we are English and we do not do stuff like that. We do not have any imagination... Joking aside, it is different ways, different pathways and different ideas. “We (Sheffield United) are all right. We try and play, but we want to be effective. I have said to the players I do not want to be a footballing side, I want to be a complete side. “If you do not compete, you will get nothing. In a lot of aspects, our last performance at Brentford was much more positive. It was better in so many facets. We want to be effective in terms of how we get from A to B and B to A. Emotions will certainly be running today in a derby which has been keenly fought and provided much drama over the years. Wilder is aware of this game’s particular resonance and standing in Yorkshire football, with the teams’ current positions heightening the latest instalment of this particular rivalry. The Blades chief, whose side have not been beaten on home soil since the opening day of the season, added: “I think it does, of course it does. They have had a fantastic start to the season and we are enjoying our start. “It has always been a lively affair going all the way back for decades, even before I was born.